iTunes U was the past week's most downloaded free iPad app, according to the latest charts released today by Apple. After being launched alongside iBooks 2 and iBooks Author last Thursday at Apple's education-themed event in New York, iTunes U also made it into the number eight spot in the free iPhone apps chart. The Night Sky, an iOS app that aims to help you identify the stars, planets, galaxies, constellations and even satellites was the top paid iPad app for the week and the second most popular paid app for iPhone. Below is the full list of the most popular paid and free apps for the iPhone and iPad. 1.) WhatsApp Messenger - WhatsApp Inc. 2.) The Night Sky - iCandi Apps. 3.) iSpy Cameras - SKIM, LLC. 4.) NFL Flick Quarterback - Full Fat. 5.) Angry Birds - ClickGamer.com. 6.) Pimp Your Screen: Your Device Never Looked Cooler - Apalon. 7.) Fruit Ninja - Halfbrick Studios. 8.) FIFA 12 by EA Sports - EA Swiss Sarl. 9.) Keep Calm and Carry On - Daniel Mauer. 10.) Where's My Water? - Disney. 1.) Temple Run - Imangi Studios, LLC. 2.) Many Bricks Breaker - FujiCubeSoft. 3.) How do others see you? - Via 21 Media Alternativa SL. 4.) Zombie Farm - The Playforge, LLC. 5.) BBC iPlayer - Media Applications Technologies Ltd. 6.) Parking Mania Free - Chillingo Ltd. 7.) Crush The Castle - Armor Games Inc. 8.) 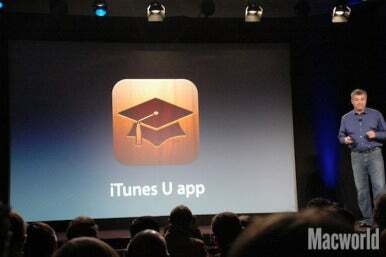 iTunes U - Apple. 9.) Pimp My Text - Send Color Text Messages - MobGen. 10.) Call of Duty ELITE - Activision Publishing Ltd. 1.) The Night Sky - iCandi Apps. 2.) Catchphrase for iPad - Deluxe Digital Studios London. 3.) FIFA 12 by EA Sports for iPad - EA Swiss Sarl. 4.) MONOPOLY for iPad - EA Swiss Sarl. 6.) Smash Cops - Hutch. 7.) Tiger Woods PGA Tour 12 for iPad - EA Swiss Sarl. 8.) Where's My Water - Disney. 9.) Countdown HD - Official TV Show App - Deluxe Digital Studios London. 10.) Angry Birds HD - Chilingo Ltd. 1.) iTunes U - Apple. 2.) Temple Run - Imangi Studios , LLC. 3.) Sky Sports News for iPad - BSkyB. 4.) Monkey Flight - Donut Games. 5.) Snappers HD - Michael Eliseev. 6.) BBC iPlayer - Media Applications Technologies Ltd. 7.) 4oD Catch Up - Channel 4. 8.) Calculator for iPad Free - International Travel Weather Calculator. 9.) Skype for iPad - Skype Software Sarl. 10.) Netflix - Netflix, Inc.